A toilet in a north-east pub has been awarded top marks at this year’s Loo of the Year Awards. Fraserburg’s Saltoun Inn was awarded a platinum star rating by inspectors for the quality and standards of its toilet facilities. The Wetherspoon branch is the latest business in the port to be flushed with success after husband and wife team Matthew and Carole Short picked up an award in 2012. The pair run a glamping business from their Rosehearty home where holidaymakers can stay in a Hobbit house. Mr Short converted a whisky barrel into the toilet. Donna Marie, manager of the Saltoun Inn, said she was “delighted” to have the pub’s toilet recognised. “Staff at the pub ensure the toilets are in first-class condition at all times and it is great that this has been recognised by the inspectors,” she said. Facilities in the Loo of the Year awards are judged for their decor, maintenance, cleanliness, accessibility, facilities and management, with each being graded from bronze to gold. Toilets that do not meet standards are not graded at all. The platinum rating is meanwhile given to those deemed “exceptional”. Inspectors from the competition make unannounced visits to hundreds of competitors across the country throughout the year in order to judge them. 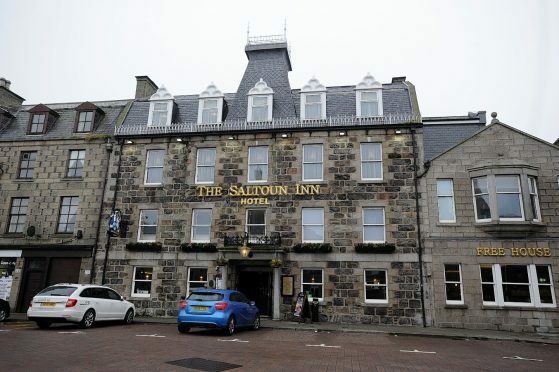 An Aberdeen pub also won a platinum rating in this year’s awards. The Archibald Simpson pub in the city’s Castle Street scooped the award.